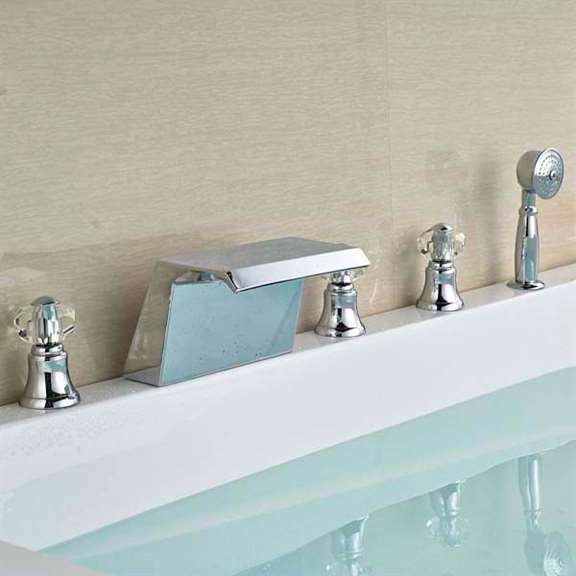 This contemporary styled Siena Bathtub Faucet is a splendid 3 handle faucet with a shower mixer and 3 handles. 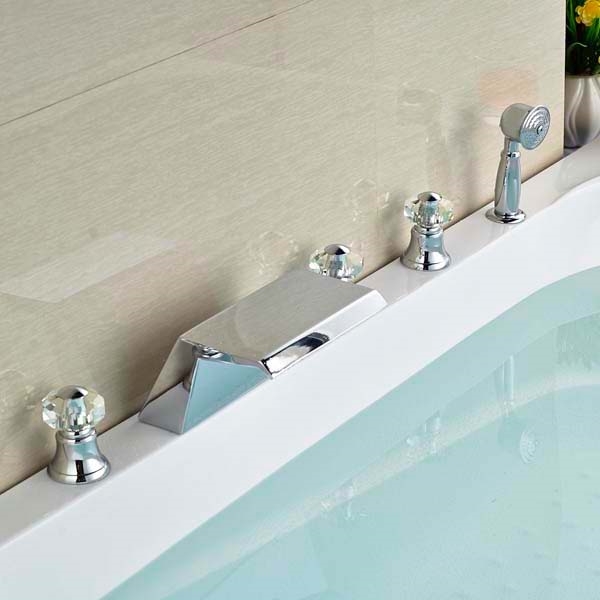 The Siena Bathtub Faucet requires 5 holes for installation. It comes in a Chrome Finish with a Brass Body. 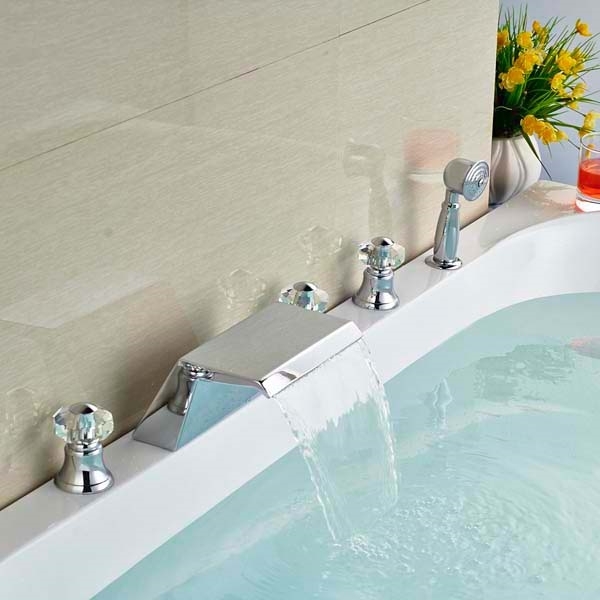 Aside from needing a new faucet for the tub, the overall design of this faucet is perhaps the main reason why I wanted this in the first place. I must admit though that I thought about getting the swan designed faucet I saw here first, but I decided against it and thought that the simply yet elegant look of this faucet would be better for the bathtub, and so it was. There's certainly a lot to talk about with regard to this faucet, but what I really love the most about this are the crystal handles. 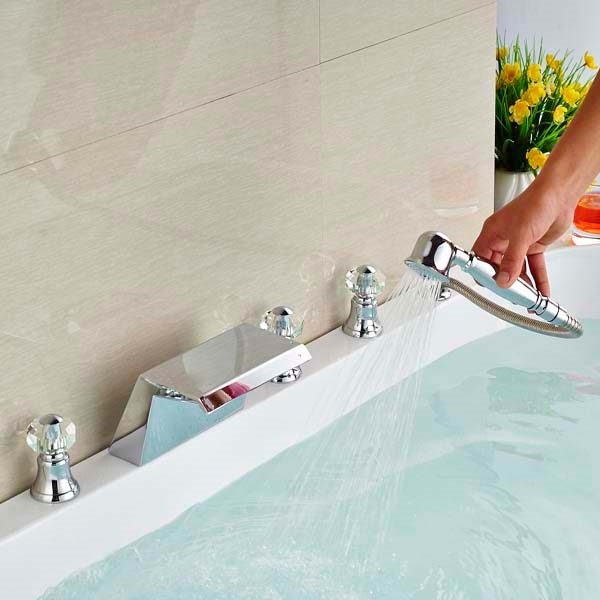 They look so great and I think they're what makes this faucet look really luxurious. 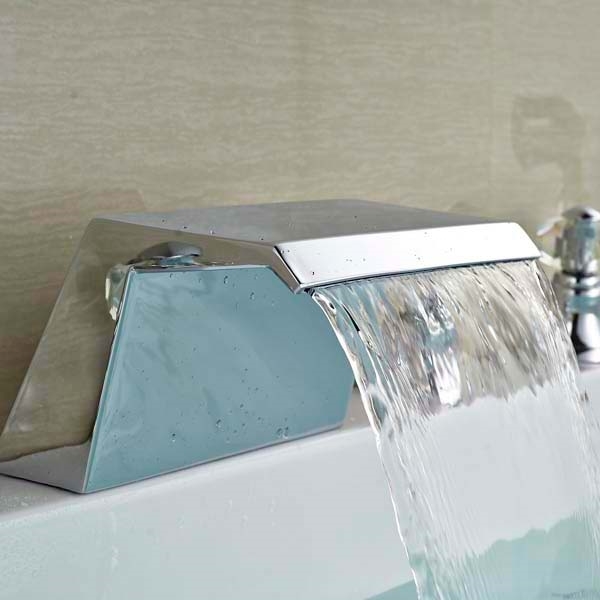 The overall design of the faucet is okay, and as for function, everything works well.